Incidentally, Troy just turned 2 months old and had his 2-month checkup yesterday. 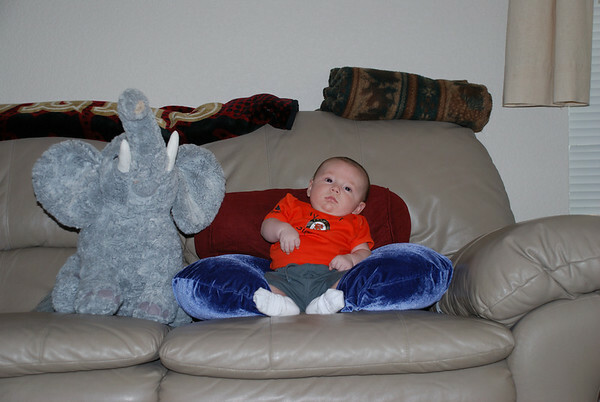 He's 23.5 inches long, weighs 13.8 lbs, and has the strength and alertness of a 4 month-old. And in case you're wondering (and if you are, you're a nerd (like me)), his height and weight put him in the 75th and 90th percentiles, respectively, for other babies his age. This entry was posted in Blog and tagged troy on May 15, 2007 by Jon Sagara.